Tribute as token of my love and respect to the front rank author of India namely Dr. Baba Saheb Ambedkar on his 126th birth anniversary today. The story goes this way. One of the Uncles of Ramji Sakpal who had turned Sanyasi came in the company of some Hermits upon Mhow in Central India where Ramji Sakpal used to reside with his family. One of the women from his family was on her way to the river for washing purposes happen to pass by the group of Hermits among whom was their old relative. The lady at once recognized him. Ramji Sakpal ran towards him and requested him to bless their house with his visit. The sanyasin had renounced the world hence did not agree to come and pay visit to Ramji’s house. However, he bestowed on Ramji Sakpal a boon that a boy would be born in the family who would leave an indelible mark in the history of India. The boon arrived on the 14th day of April 1891 the birth of a boy the 14th child of Ramji Sakpal. He was named as Bhim and rose to fame as the front rank author of India. He was none other than Dr. Baba Saheb Ambedkar whose eternal search for knowledge coupled with lofty ambitions took him to exalted heights and raised himself from dust to doyen. Yes indeed, Dr. Baba Saheb Ambedkar set golden benchmarks in the history of our nation and freedom struggle as well. There was a Brahmin teacher in the High School by the surname Ambedkar where Bhim studied. This teacher loved Bhim very much. During their school recess the teacher would drop daily part of his own meal into the hands of this little boy Bhim. The original surname of Bhim’s father was Sakpal. Bhim drew his surname Ambavadekar from his native Ambavade. However, this teacher took so much liking to this young boy that he even went ahead to change his surname from Ambavadekar to his very own surname namely Ambedkar in their school records. Dr. Baba Saheb Ambedkar well remembered his teacher who had treated him kindly during his school days. Much later in life when Dr. Baba Saheb Ambedkar was on his eve of departure for the first session of Round Table Conference Baba Saheb received hearty congratulations letter from this same teacher. During school days both Bhim and his elder brother were denied to take up Sanskrit as the second language. They both had no other option but to take up Persian language. Not to forget Bhim passed his Matriculation Examinations from Elphinstone High School. Bhim obtained 282 marks and his highest score was in the Persian language. Looking at his average marks in high school then not many would have ever imagined that Bhim would be that same boy who would have his name well remembered in the history of India. Bhim had learnt from his sisters that boys from village have found jobs in mills in Mumbai. He made up his mind to take up the job of winding boy in the mills of Bombay then (now Mumbai). He did not have enough money either to reach Mumbai. He decided to steal the purse of his aunt in whose company Bhim used to sleep on the floor. For three nights back to back he made his attempt to steal the purse tucked up at the waist of his aunt but no luck. Finally, on his fourth attempt Bhim was successful but only to get half an anna in it. With that small amount travelling to Mumbai was ruled out. The episode of stealing money caused anxiety in Bhim and he made up his mind that he would study hard looking forward and clear all his examinations so that he can earn his own livelihood without depending upon his father. From that day onwards he put in all his energy in getting good education. The same teachers who were once disappointed seeing his grades were then recommending his father to give him the best possible education. In June 1913 The Maharaja of Baroda thought of sending some students to U.S.A. for higher studies at Columbia University. Bhimrao was advised to apply for one of the scholarships which the state had advertised. He did so and finally the Maharaja decided to send Bhimrao along with other three students for higher education. The agreement was signed that he would serve for ten years at Baroda State after completion of his studies. Finally, Dr. Baba Saheb Ambedkar arrived in New York in the third week of July 1913. He seized every possible hour for his study for which Bhimrao was given a life’s opportunity. After long hours of concentration and hard labour Bhimrao devoted to research and he finally completed his thesis which was accepted by Columbia University in the second week of June 1916. After a very successful career at Columbia University Dr. Baba Saheb Ambedkar now turned his attention to London and he left America in June 1916 to study further with London School of Economics and Political Science. He had persuaded the Maharaja of Baroda to grant him permission for pursuing his higher studies in London. While he started his work on his thesis he was informed that his period of scholarship was over and was thus called back to India by the Dewan of Baroda. He was determined to come back to London to complete his pending studies. With kind recommendation from his professor, Prof. Edwin Cannan he secured permission from London University to resume his studies within a period not exceeding four years from October 1917. There was a vacancy in Sydenham College of Commerce and Economics, Bombay (now Mumbai). Dr. Baba Saheb Ambedkar wrote letter to Lord Sydenham, former Governor of Bombay (his London acquaintance) requesting him to recommend him to the Government of Bombay for the post of professorship in Sydenham College. His interview went well and finally Government appointed Dr. Baba Saheb Ambedkar as the professor of Political Economy in Sydenham College. Few years later Dr. Baba Saheb Ambedkar arrived in London once again to pursue his pending studies with the London School of Economics and Political Science. One thesis was completed by him in 1921 while in October 1922 he completed his famous thesis, “The Problem of the Rupee” and submitted it to the University of London. In March 1923 Dr. Baba Saheb Ambedkar while he was in Germany was called back by his professor Edwin Cannan who asked him to rewrite his thesis without changing his conclusions. With financial resources running out he could not stay any further in London to rewrite his thesis. On his arrival in Bombay in April 1923 few days later he re-submitted his thesis, “The Problem of the Rupee” from Bombay. The examiners finally accepted it and to his great joy Dr. Baba Saheb Ambedkar was awarded the degree of Doctor of Science. 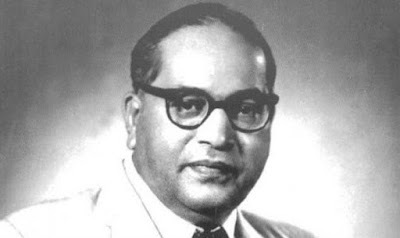 There have been so many books and articles written by Dr. Baba Saheb Ambedkar on varied topics readily available. So be it economics, politics, regional or law related one would find his thoughts reaching to his readers through the medium of writing. There goes an old adage, "Leaders Are Readers". Perhaps not all readers are leaders, but all leaders have been compulsive readers. When it came to reading Dr. Baba Saheb Ambedkar was no exception. “Dr. Baba Saheb Ambedkar and Reading” or be it “Dr. Baba Saheb Ambedkar and Books” this combination was always inseparable. Dr. Baba Saheb Ambedkar was too fond of books. He had a wide collection of books. To have his own books, to read them, make important notes from them and have these notes committed to his memory was the key thing Dr. Baba Saheb Ambedkar was madly in love with. He had razor sharp memory and he could easily tell with authenticity which reference is in which book, which page and which paragraph. His burning to desire to possess books was insatiable. While in school instead of reading regular textbooks he exhibited his interest in reading books outside his regular school curriculum. Bhim’s father was well aware of his passion and love towards books and he never wanted that his son be deprived of this. On the contrary his father always supplied Bhim with new books even if it did mean borrowing money from his two married daughters. He ensured that the lamp of reading was always burning for Bhim. In his college days Prof. Muller of Elphinstone College used to lent him books to read. Also, later in life when it came to buying books Dr. Baba Saheb Ambedkar never thought twice about it. If he did like the book he would just go ahead and buy it in his collection. Even when he was not keeping well and just five days before he passed away Dr. Baba Saheb Ambedkar paid visit to bookshop at Connaught Place to have look at new arrivals and ordered some books to be sent to his residence. There are so many books authored by Dr. Baba Saheb Ambedkar and the list is indeed comprehensive. If one does watch movies based on his life, read books written on him or for him one can understand his journey of life was indeed inspiring and remains an immense source of motivation to each one of us. It's just not possible for me to cover all his defining moments in this short piece of mine. Whatever I have penned down remains to be my small tribute to this prolific writer and compulsive reader Late Dr. Baba Saheb Ambedkar.